Visit with us the south-west corner of our island and the marvelous sandy beach of Elafonissi. 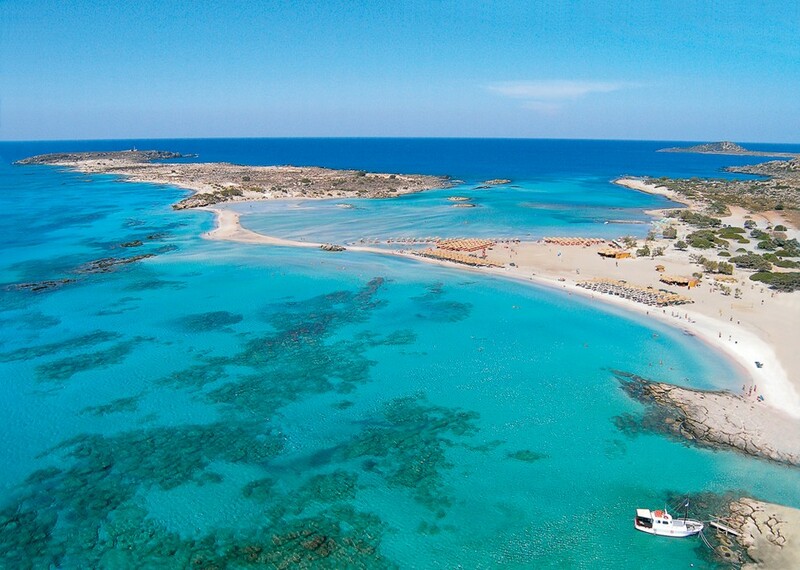 Especially the last few years Elafonissi is regarded as one of the most beautiful beaches in the world. The beach is well-known for its unique pink sand and crystal clear green waters. The bus-trip to our main destination makes already the tour very nice and very special. We drive first along the North Coast to the west, to Kissamos. There begins the nicest part of our adventurous journey, especially on the way through the wild Topolia Gorge. We pass through some traditional, partly very old and very typical Cretan villages and at one of them we stop for a nice coffee-breakfast break. The western part of Crete is well-known for very lush vegetation and all the time we see a lot of green and especially a lot of flowers. Reaching our main goal we stay 5 hours and spend an unforgettable time in a real little paradise – swimming in the crystal clear waters, lying under the tropical sun or walking through the fantastic pink sand.